It's officially spring, which brings the changing of the guard at the CWCB. Ty Wattenberg, North Platte River Basin representative on the CWCB Board, has served as Chair for the past year with Patti Wells, Metro representative, as Vice Chair. We want to thank them for their dedication, thoughtfulness, humor, and service to the State of Colorado. Join us in welcoming the new Chair, Jim Yahn from the South Platte River Basin, and new Vice Chair, Heather Dutton from the Rio Grande River Basin. We look forward to another productive year under their leadership. Learn more about the CWCB Board members from across the state. Get the low-down on the phrase from State Engineer, Kevin Rein, in his article, Colorado Water Law: Use It or Lose It, Fact or Fiction? 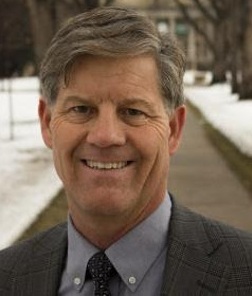 The inaugural Water in the West Symposium, hosted by Colorado State University (CSU), will bring more than 400 leaders in water research, agriculture, policy, conservation, and education to Denver. CSU and other partners have invested in creating a state-of-the-art Water Resources Center (WRC) to be housed at the National Western Center. The WRC will offer a collaborative space for partners from agriculture, utilities, academics, and recreational water stakeholders in a state-of-the-art facility. The WRC will focus on policy, innovation, education, and research, and will be capable of hosting multi-disciplinary programs and water conferences, as well as attracting students of all ages. The Symposium will focus on engaging experts and leaders in thoughtful conversations and creating impact through the WRC. Learn more and register today! The annual CWCB Floodstage Newsletter is available for reading! Each year, CWCB’s Flood Section puts together a newsletter with flood updates, a little Colorado history, and engagement in flood protection efforts. Floodplain management and flood mitigation processes remain important in Colorado, so be sure to check out the newest edition of their newsletter! The Data Viewer that displays GIS maps of water information from CWCB and DWR just got faster and better. The upgrade was accomplished by moving the Data Viewer to data infrastructure managed by Colorado’s Office of Information Technology (OIT). The change provides more internal control over the viewers, as well as faster viewer response times. New links to all of our map viewers can be found on the CDSS website. The CWCB has also been working with the Open Water Foundation to create the SNODAS Daily SWE and Snow Coverage Statistics app. This application pulls daily data from the National Operational Hydrologic Remote Sensing Center (NOHRSC) to create an interactive map of current and past snow water equivalent (SWE) totals. The data is aggregated by sub-basin and allows users to view historic graphs of basin data for analysis. The system was originally designed for the Rio Grande Basin and received positive feedback from users. Now, the system is now available statewide. Check it out at this link. 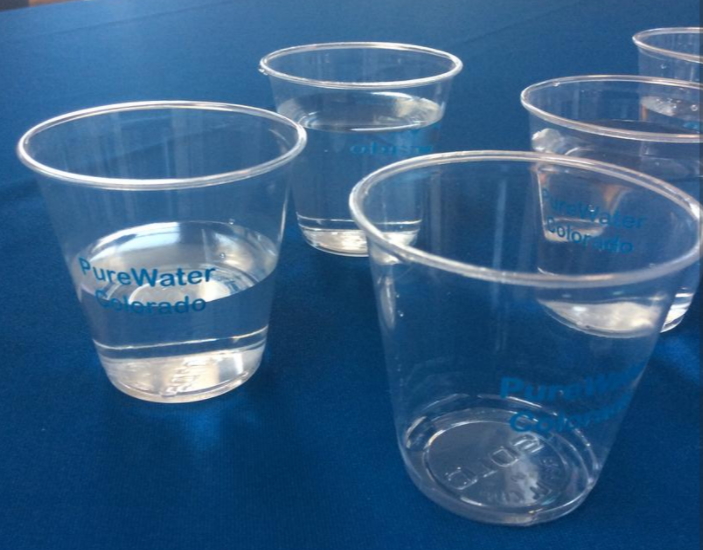 The objective of the PureWater Colorado demonstration project is to demonstrate advanced technologies that produce drinking water directly from a reclaimed water source. This project is engaging regulators, utility providers, policy makers, and the general public to increase the understanding of reuse treatment technologies. The project also has a creative public outreach initiative. The PureWater Colorado project is being conducted in conjunction with a WateReuse Colorado project, funded by the CWCB, for direct potable reuse that is developing a regulatory framework in coordination with the Colorado Department of Public Health and Environment Water Quality Control Division. Learn more in this article from the Denver Business Journal. The business of water is a big industry – $600 billion globally. And, it is more than just turning on your tap – water hits the nexus of all the key pillars of our thriving economy, environment, and society. 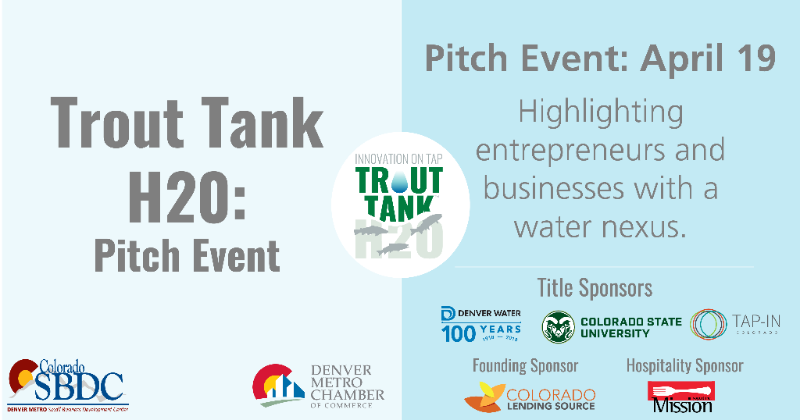 Join us at the Trout Tank H2O: Final Pitch Event on April 19 to see the 5 finalists pitch live and present their ideas in front of the local lending, investing, business, and water communities. There is $5,000 on the line! Register here. Stay after the event to socialize and check out the demo booths of all 12 Trout Tank H2O: Accelerator participants. The Arkansas River: from Leadville to Lamar documentary about the Arkansas River will air on Rocky Mountain PBS on Thursday, May 31 at 8:00 pm. But, stop by the Pueblo Library on Thursday, April 19 at 6:00pm for a pre-screening and a panel discussion about the importance of the Arkansas River with staff of the Nature and Wildlife Discover Center. There will also be representation from the Arkansas Basin Roundtable to discuss Colorado's Water Plan and the Basin Implementation Plan. If you want more information, email Jean Van Pelt. Russ Sands is the new Senior Project Manager in the Water Supply Planning Section. He has worked in the water industry in Colorado for over 12 years including working with Denver Water and the City of Boulder. His work has focused on water quality, water conservation and climate adaptation. Most recently, Russ worked in consulting on climate and water issues, serving as lead for the One Water due diligence effort for the National Western Center redevelopment project. The CWCB hired Brian Macpherson as the agency’s new Decision Support Systems Specialist. Brian previously served as a Water Resources Engineer at DiNatale Water Consultants. Through that position, he contributed to the development of the South Platte Decision Support System St. Vrain Creek StateMod model. Brian also assisted in writing portions of the Rio Grande Basin Implementation Plan regarding future hydrologic conditions. 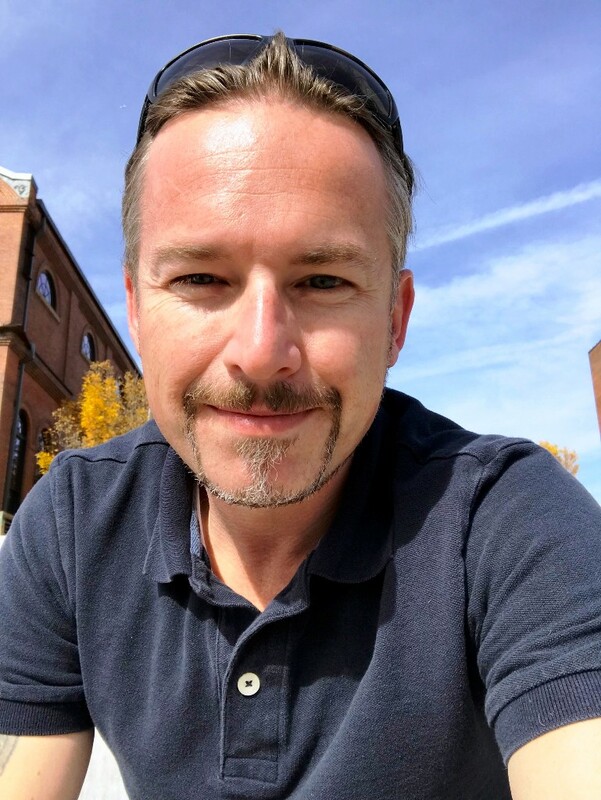 In his new role, Brian will manage the development and refinement of Colorado’s Decision Support Systems (CDSS), including the ongoing development of an Arkansas River Basin DSS (ArkDSS). 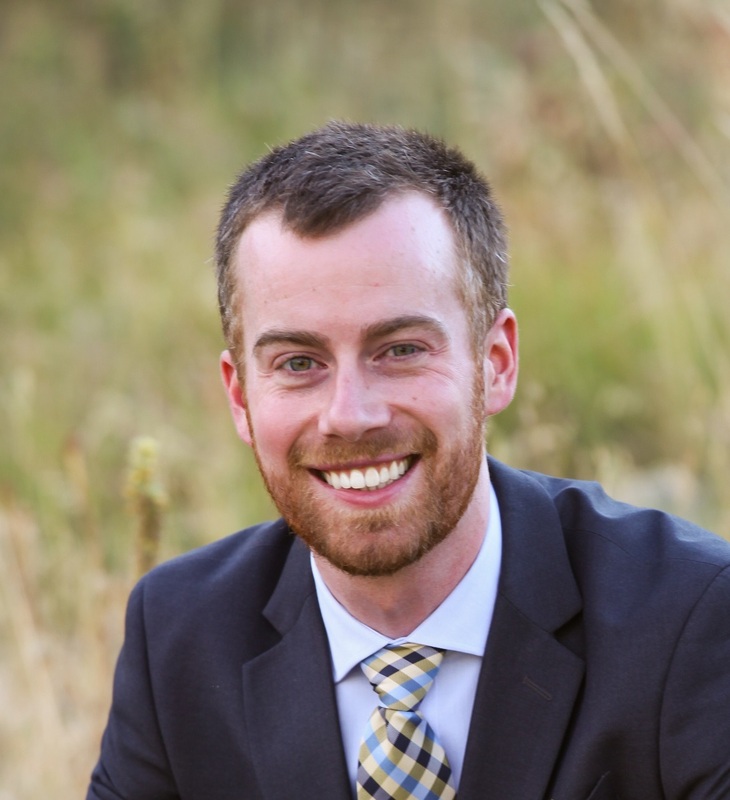 Brian received his bachelor's degree in Environmental Engineering from Cornell University and his master's degree in Civil Engineering from the University of Colorado Boulder. In his free time, Brian enjoys exploring Colorado's backcountry through running and skiing. Jojo La joins the Interstate and Federal Section as the new Endangered Species Policy Specialist. Jojo will serve as CWCB's representative to the Platte River Recovery Implementation Program and the Upper Colorado Endangered Fish Recovery Program. She will also be an alternate on the Upper Colorado Wild and Scenic Stakeholder Group and the San Juan River Basin Recovery Implementation Program. 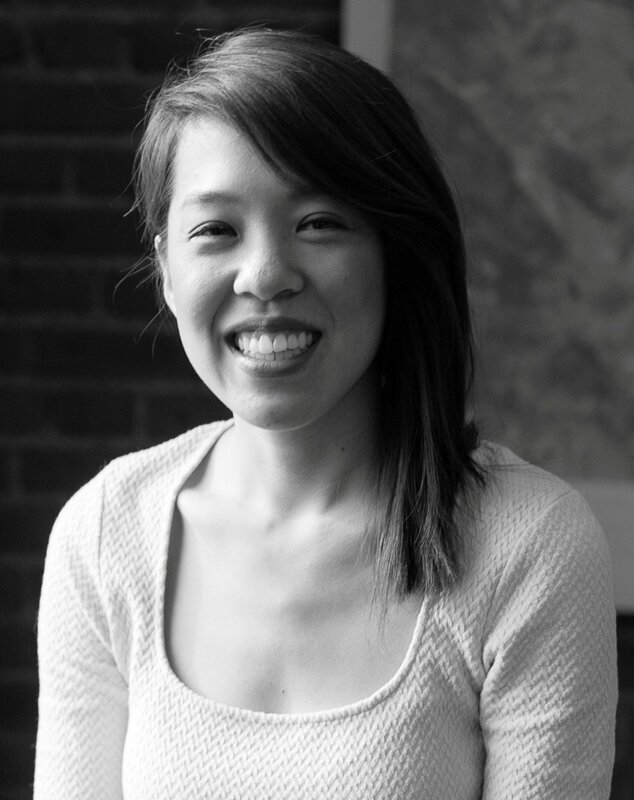 Jojo previously served as an environmental engineer at Leonard Rice Engineers and as an independent consultant. Through those roles, Jojo has represented clients that were involved with (or benefited from) the Platte River Recovery Implementation Program and the Upper Colorado Recovery Program. Jojo did her undergraduate studies in Environmental Science and Engineering at the Colorado School of Mines and her graduate studies in Environmental Science at the University of Colorado Denver.